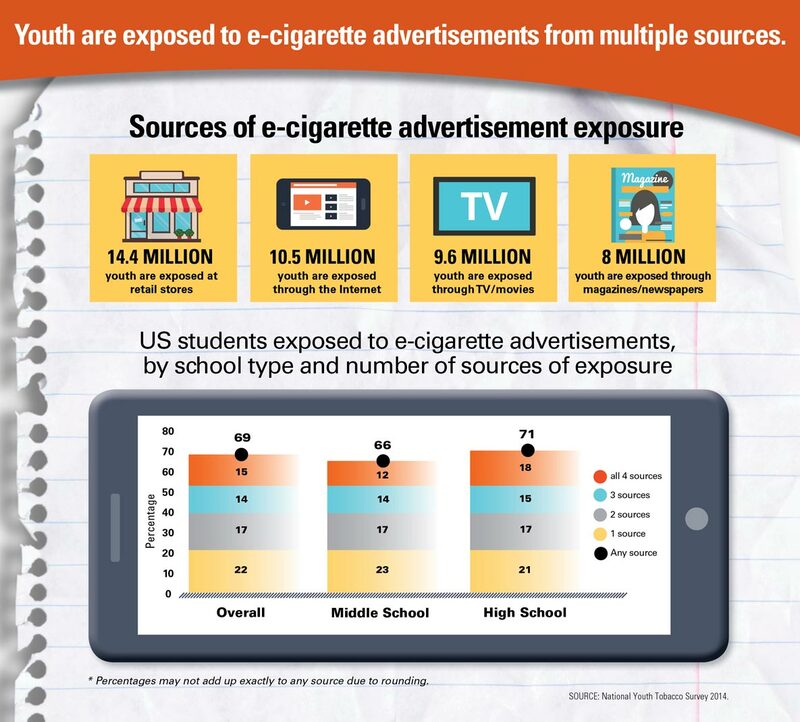 About 69% of middle and high school students have seen e-cigarette ads in retail stores, online, in print, or on TV and in movies, according to a recent report. This is adding to the 2.4 million students in middle school or high school who are currently smoking e-cigarettes, according to the CDC. Most e-cigarettes contain nicotine and can therefore cause serious addiction problems, as well as impaired brain development. Companies have spent more on e-cigarette advertising, specifically aimed at teens, since 2011. “Unfettered marketing of e-cigarettes has the potential to compromise decades of progress,” said Brian King, a CDC expert on smoking issues. Why are tobacco companies being allowed to hook our youth on a destructive health habit after it took decades to hold companies like Phillip Morris accountable for lying about original cigarettes and their damage to our lungs, brains, and overall health? 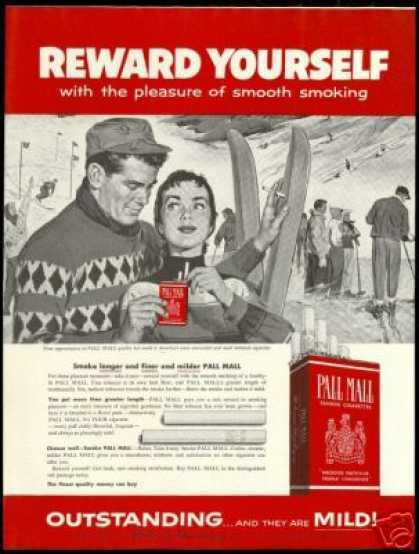 Vintage cigarette ads seemed to do exactly the same thing – glamorize an act of slow death. The ads are revolting with sayings like “Protect against throat scratch” to “20,679 physicians say Luckies are less irritating.” The same theme of targeting the young and easily influenced is being used all over again. Cherins’ firm refuses to create advertisements for tobacco products.